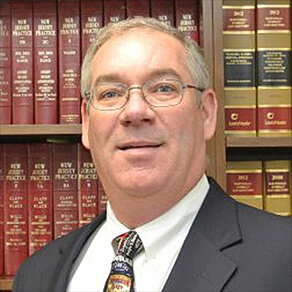 Charles M. Radler, Jr. - Dughi, Hewit & Domalewski, P.C. HomeAbout Our FirmAttorneysPartnersCharles M. Radler, Jr.
Charles M. Radler, Jr. joined Dughi, Hewit & Domalewski in 1983 and now directs the firm’s corporate and commercial law department. He practices primarily business litigation, arbitration, mediation and counseling in areas involving corporate and commercial disputes, business practices and restrictive covenants. He has successfully prosecuted and defended dozens of Orders to Show Cause involving restraining orders, injunctions and the appointment of receivers and special fiscal agents in the Chancery Division of the Superior Court. Mr. Radler also maintains an active construction practice, representing builders and owners in cases involving construction defects and consumer fraud. Mr. Radler also handles a wide variety of corporate and commercial transactions, including secured loan transactions, loan and lease workouts outside of bankruptcy, commercial refinancing and real estate and equipment leases. Mr. Radler has extensive experience in representing companies, shareholders and partners in negotiating the purchase and sale of businesses, professional practices, automobile dealerships, and steel processing facilities, as well as in negotiating and litigating business separations.